Running Out of Christmas Cheer? I managed this on Christmas Day, just twenty minutes but that’s enough to recharge the batteries! May we wish you all a happy Christmas! Hopefully the day will bring you many train shaped gifts and few annoying relatives! It’s with a very heavy heart that I post this – this weekend marked the end of traditional block signalling on the mainline to Hull with the closure of the signal boxes following control passing to York ROC. 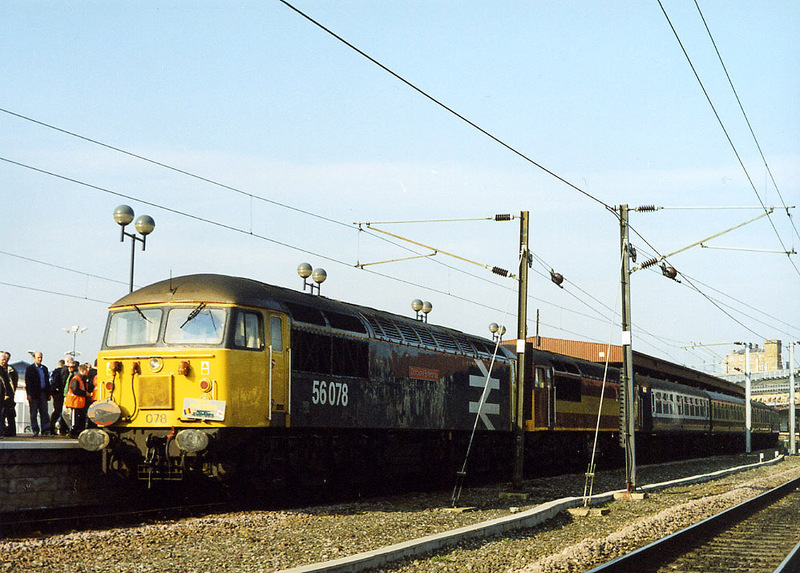 This is three years after the North Lincolnshire mainline was re-signalled and taken over by York ROC. Both areas are of huge significance to James and I as we’ve both grown up seeing the boxes and signalling in both areas. I’ve spent the majority of my railway career working boxes along the Hull mainline, spending the time as both a resident and relief signaller with the last seven years as resident at Gilberdyke Signal Box. Looking toward Wrawby Junction, December 2015. The end of the how we knew the railways in North Lincolnshire. Why Buy Something you can make for Pennies? Just a thought, and this isn’t a rant about ‘how much things cost’ at all. Rather I just wonder why people will pay so much for something which they make themselves for pennies. The building costs just short of seventy five pounds. That’s a lot of money for a small, low relief building. And it’s N gauge too by the way, so it’s not large at all. Now, the price for this sort of product is not out of line with other similarly sized ready made buildings so that isn’t an issue. But what I don’t understand is how the hobby is at the stage where people will spend so much on something which could be simply made in Plastikard and/or card. A bit of research online could probably bring dimensions of these could be estimated from photographs (a standard door is 6′ 6″ so provides a useful datum). In many cases using kits and ready made buildings is fine of course – signal boxes and other standard railway buildings are very useful and it makes a lot of sense! But even in these cases making your own has a lot going for it. If you’re inexperienced then you can learn and awful and save a good deal of money too. Something simple like the building in the photograph is an ideal place to start this sort of work. I have seen plenty of comments online that people avoid in case it doesn’t work out. But so what?! Of it doesn’t work you’ll still learn a lot and the second attempt will be much better as a result. So this week, why not challenge yourself to go and have a go at building something instead of buying it ready made? I always think that road vehicles can really date a layout, even with no trains about. There’s a reason why period TV dramas and film have vehicles appropriate for the time in which they are set, for just this reason. Over the last few years the number of accurate 4mm scale die-cast vehicles available has soared. One problem has been that many tend to be at the premium end of things. This isn’t what we really want or need – the ‘everyday’ is much more what we need. Oxford Diecast is producing a very wide range 1/76th scale vehicles and many are exactly the sort of ‘everyday’ types that I think will be just what we need. I treated myself to two of their models the other day, a mark 2 Vauxhall Astra and a mark 2 Vauxhall Cavalier. For anyone like me, growing up in the eighties and nineties, these are two cars which you’d see all the time. Even though the Astra which is the GTE version, not the everyday version, the Ford, Vauxhall and Rover performance models were very much performance for the masses. And even by today’s standards the GTE is a quick car! And cars like these were not uncommon sights in their day. Or maybe I just noticed them more than the boring models?! The Cavalier though, is a very normal spec – nothing fancy and at primary school I guarantee than there will have been someone in my class whose family had one parked on their drive. It is a typical ‘fleet’ car, one which might have spent its life going up and down the motorway between offices and sales conferences. The sort of life which I would hate! The models themselves aren’t bad at all – at first glance. Shape-wise both are pretty good – they look like what they’re supposed to be. But these small models lag far behind the 1/43rd scale models which Oxford (and others) produce. The paint is terribly thick and the cast lights just don’t cut it. Big squares of silver just don’t look like real headlamps. And compare the Astra with the real thing – the tyres are a much bigger profile (and the wheels too small I feel) and the model looks like it’s on stilts! The rubbing strips on the corners of the bumpers are bigger than they should be. So can this be turned into something more accurate? Well I hope so. The paint doesn’t help matters – it’s so thick and tough. Nitromors struggles with it – but beneath this horrible shell you will find a lovely, crisp casting which will be so much better for a decent paint finish. So we shall see how these turn out. It’s all too easy to focus on the negative (as I have done!) but it’s far better to have these as starting points than not all. The two sub-frames and the bearing carriers. A bit of bonus time this morning so I made a start on the next set of Penbits bogies I have for another class 37. So, a temporary workbench for the morning – some of you may have worked out where it is, but keep that to yourselves! In the time I’ve had I have sorted all the bearing carriers and the basic subframes – I’ve said this before but it’s worth reiterating, the Penbits kits are absolutely superb! The go together beautifully! Some kits can be a bit of a chore, the result and overcoming the problems they present become part of the appeal but the actual construction, less so. None of that here though, just an enjoyable building experience! The only problem with modelling diesels to this level of detail is the repetition involved – I mean, look at all the brake gear! Whereas your typical 0-6-0 steam loco has six brake hangers, most mainline diesels have two per wheel. So twenty four in this case! But look at those beautiful etchings – if you’re in the right frame of mind, it’s very relaxing doing the brake gear. In fact, building one of Ian’s kits is a lovely way to spend a morning. 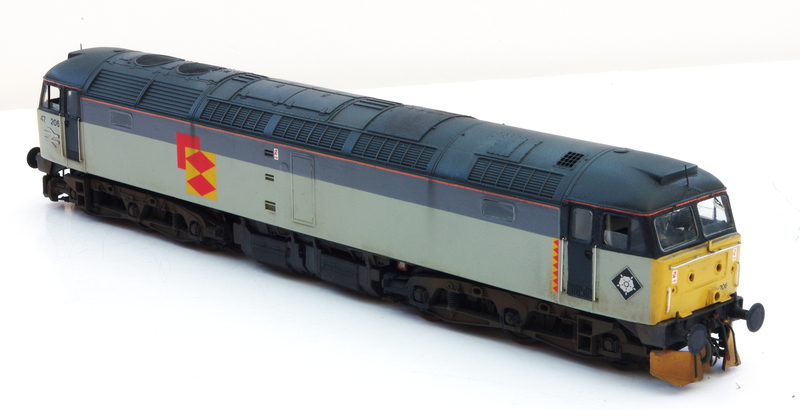 Fordingham Deltics making a return. A bonus this autumn in North Lincolnshire and East Yorkshire has been the return of, shall we say, classic class 20s on the Railhead Treatment Train circuit as a result of wheel flats on the regular 20/3’s. The regular locos will be back soon, but for a brief moment we can enjoy the sights and sounds of this pair. An interesting development at Rail Express, Nigel Burkin appointed as the new editor of Rail Express Modeller. 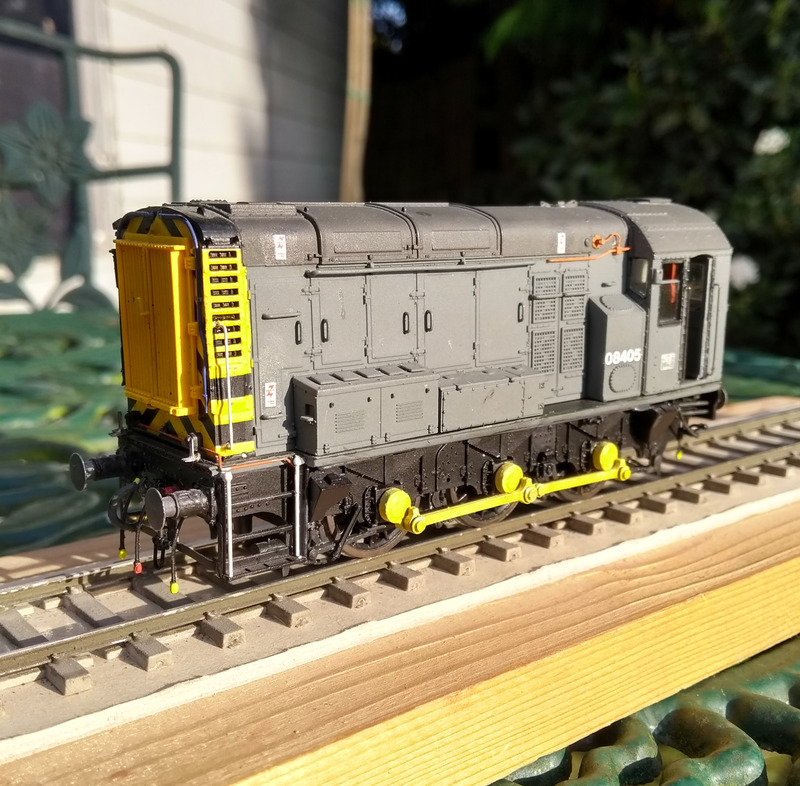 Those of use who started modelling diesels in or before the mid-nineties will remember his two ‘Thoroughly Modern Models’ books and articles in early issues of BRM. He also edited the short lived Modern Railway Modelling from Warner’s – something which could have been something very special but faded away within just a few months. I just hope that REM doesn’t go the same way – REM has lost its way since the days of Phil Sutton and Gareth Bayer we feel. 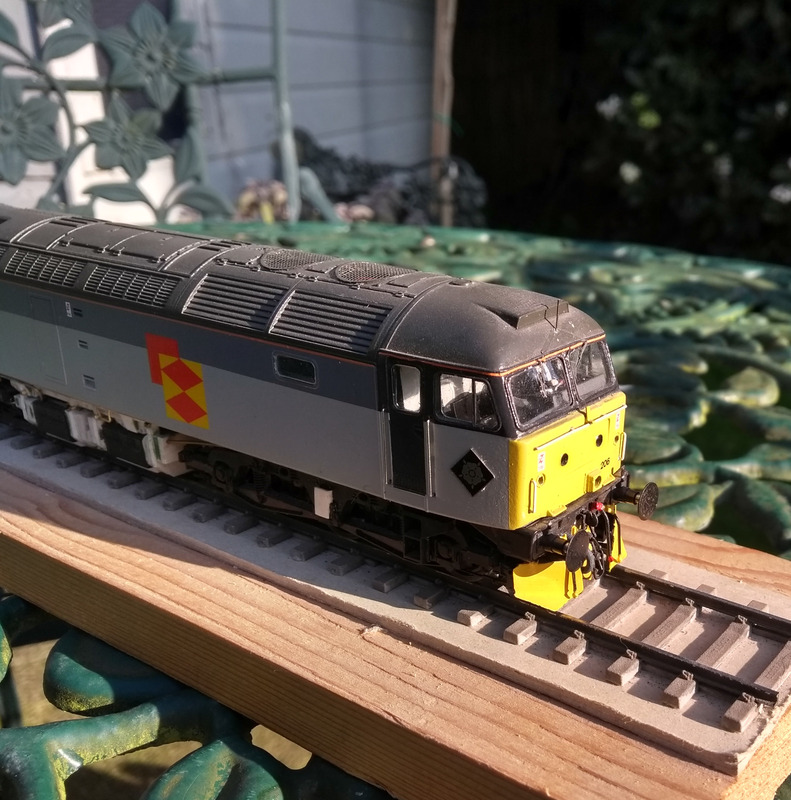 If Nigel could recapture the spirit of the original ModelRAIL supplements then many would be overjoyed! Maybe the pioneering feel of ModelRAIL combined with the prototype information in the early editions of DEMU Update? Gareth being the connection between Update and REM! We’ll see how it turns out but I hope there’ll be more on high quality modelling than the promised step by step articles. REM doesn’t need this, mags like Model Rail (confusing when Chris Leigh took the name on for his monthly from 1997 after destroying the original ModelRAIL), BRM, Hornby Magazine and Railway Modeller cover basic techniques, REM doesn’t need to duplicate this. Let’s hope REM will once again be the spiritual successor to the original ModelRAIL!